We are a family run business that has been in the Torbay area for over 40 years (Established 1973). As a team, we work for a variety of clients including private homes, management companies and hotel owners to name but a few. We are also certified Artificial Grass installers. We listen to your needs and offer advice to make sure that we fulfil all your requirements. We have many long-standing customers who stay with us because we are reliable and offer competitive pricing. This often leads to recommendations to new clients, from people who are pleased with our service and quality of workmanship. 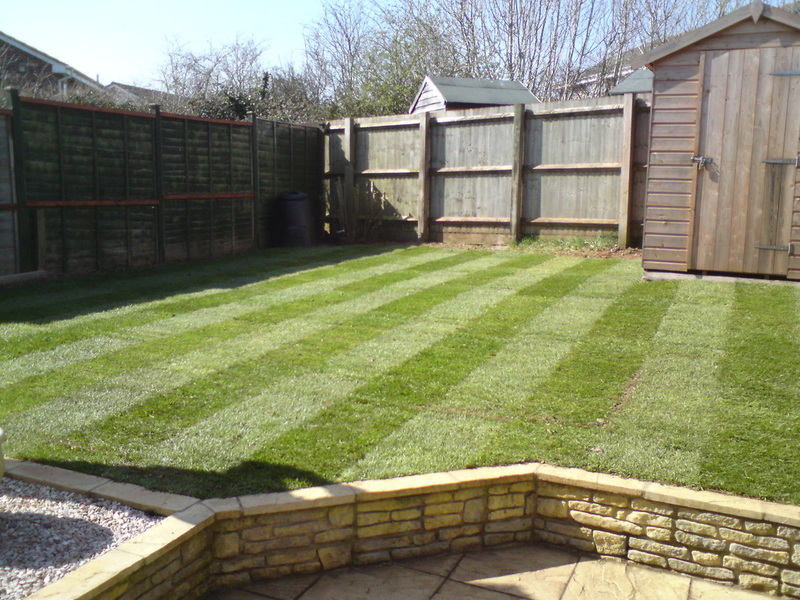 Whether it is cutting a lawn or hedge, tidying borders or landscaping the whole or part of your outside space, when it comes to advice on your garden or project we use our years of experience to make your garden individual. In the summer of 1973 Andrew and his brother, David, started to maintain the garden of the holiday flats their father owned. Andrew asked for his own section of garden. That changed his life. Their father semi-retired, sold the holiday flats and helped Andrew for a while, Andrew was already maintaining the gardens of neighbours and now working for Estate Agents, Hotels, Flats, etc. By 1978, Andrew had all the machines he needed, added a full time employee and continued to grow. In addition was his 3 yr old son, Dale, who would help with his plastic mower! By 1987, Andrew had taken on another employee and Dale, now 12, had traded in his plastic mower for a real one and his own strimmer. Dale soon became Andrew's righthand man and best helper. By the summer of 1994, Dale had completed his NVQ Levels 1, 2 and 3 in horticultural engineering and became full time and a key member of the business. 1996 saw the arrival of Arron, another key member to our current team who takes care of the majority of our maintenance work. In 2011, as planned, Dale took control of the business and Garden Plant Design (SW) Ltd was born! Andrew stayed with us and runs the smaller maintenance work. In late 2015, Dan joined the team to focus mainly on the design and construction work but also to run our business development. This allows us to build stronger team. In October 2016, Nathan joined us to start building a second maintenance team. With a very strong team now in place, the business goes from strength to strength. "We used Garden Plant Design to replace an old fence that had rotted over time. Everything needed replacing, including new concreted in posts, but the whole job was completed within one day and at a very reasonable cost. Both Dale and Dan were very courteous and professional people. They cleaned up and removed all the waste and when the job was finished it was like they had never been there. I would recommend this company to any of my friends requiring garden work." "For some time I’d been considering a large decking project for my garden; so the end-to-end solution provided by Garden Plant Design was exactly what I needed to turn ideas into reality. From putting together initial arrangement plans to specifying high-quality materials and preliminary works, Garden Plant Design took care of the detail with confidence and kept me informed throughout all phases of work. The outcome exceeded my expectations, and has changed the way I use the outside space at my property – a big thank you to Dan & Dale for the hard-work and enthusiasm." "Garden Plant design did a fabulous job completely landscaping my garden. They were professional, polite and got the job done in great time but without cutting corners and to a very high standard, including brand new decking which I love! I would not hesitate to use them again should I need any more work done. Thanks Dale & team!" "Garden Plant Design were tidy throughout and work was completed in one day which minimised disruption. All waste was taken away and garden left in a tidy state. The fence they replaced was far stronger than previous, thicker high grade timber and critically the wooden posts were inserted many times the depth of the original post to allow for the fence to last. They are economic as they are competitively priced and the work is done to a very high standard. They were also friendly and as quiet as they could be with the work required. I have no problem giving a personal recommendation for Garden Plant Design's work." Feel free to upload a few images if it would help with your enquiry. There is no visual feedback when an image is uploaded but as long as the file is under 10MB and you clicked ‘UPLOAD’ then it will send us the files.